Moisture control can keep your home safe from mold, pests, and other issues. When it comes to your home, you can be the most fastidious of cleaners and still end up with a pest problem! Unfortunately, sometimes the issue is not what is within your home, but what is beneath it. When you have areas like a crawl space, basement or other areas that are consistently warm, dark and moist, you not only open yourself up to be at risk for molds and fungi, but for pests as well. 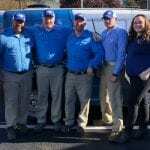 That’s why our team here at NC Pest Control is devoted to making your home as pest-resistant as possible, and that include moisture control services for your Fuquay-Varina, North Carolina property. It’s not uncommon to have moist areas in your home that you might not even realize need moisture control. After all, out of sight can mean out of mind! However, moisture control is crucial for keeping out pests like termites, who thrive on warm, moisture-softened wood. 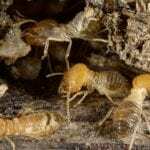 It’s also helpful to keep out any other pests who could easily gain entry from soft, wet soil or come to feed on the mold that might be growing. With the right moisture controls that we can put in place, your home can stay clean, dry, and have preventative protections against potential pest invasions. We understand that crawl spaces or basements are not the most desirable of places for many property owners. They can be dark, damp, scary and dirty. Instead of venturing down there yourself to take a look, let our team here at NC Pest Control do the literal dirty work instead. We can take a look and let you know the moisture control method that would be most effective for your situation. For questions about moisture control, give us a call today!